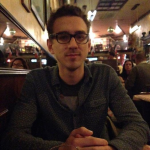 James Ferraro has covered many a genre in his highly conceptual, socially critical work, from bleak, ambience to offbeat hip-hop. For his latest album, Human Story 3, he applies a bright, orchestral soundtrack to our materialistic culture of smart cars and frozen lattes. The music captures the sheer magnificence and appeal of such products, but the constant bombardment of names like Prius and Ikea remind one that these things are becoming what we are, and that it's not completely okay. Human Story 3 by James Ferraro Like his peers Holly Herndon and Oneohtrix Point Never, James Ferraro is thinking big and thinking of the future, and that's something we need more of in experimental music. Check out Human Story 3 above; let it depress you, entertain you, or a little bit of both. 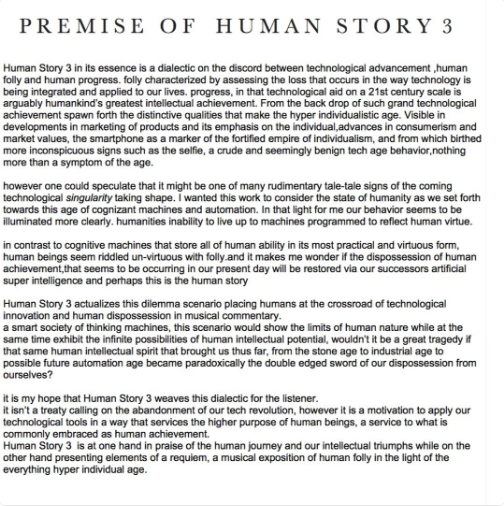 For an in-depth explanation of the album's themes, check out Ferraro's 'Premise of Human Story 3' below.